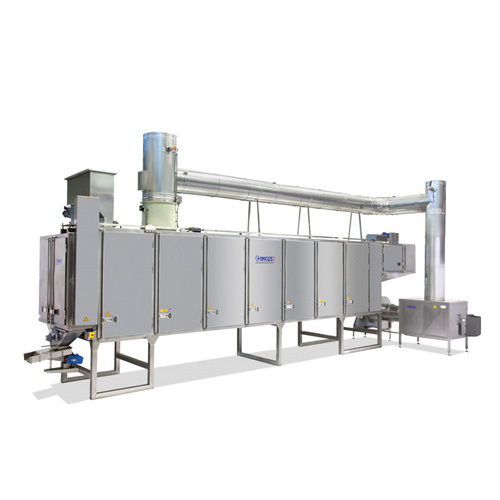 Specially designed for high efficiency roasting of almonds, pistachios, macadamias, hazelnuts, cashews, pine nuts, peanuts, Brazil nuts, sunflower seeds. The roaster allows processing whole kernels, natural or blanched as well as processed product such as dices, slices or slivers, and also salted product. Thanks to its multi-pass system the product changes its position several times during the process. This results in a completely uniform and consistent level of roasting.